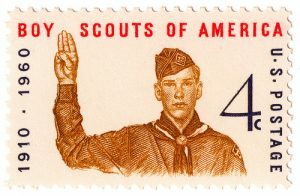 The other day, a commentator on MSNBC described FBI Director James Comey as having a Boy Scout image. That’s a good thing for an FBI director. The problem is that Comey appears to have become a prisoner of that image, and has placed more importance on his image and the FBI’s image than the American people, the Justice Department and the presidential election, which is the World Series of democracy in this country. Simply put, Comey, appeared to be so worried about his image, that he screwed up by firing off a letter notifying Congress about emails his agents stumbled upon while investigating Anthony Weiner, estranged husband of Huma Abedin. He says he was obligated to update Congressional members. Plenty disagree with that assumption, at least under the circumstances. The problem is, at this point, days before the election, Comey has no clue as to what the emails say or what significance they have. It would be different if he knew. But agents have yet to start reviewing them. Sure, Comey should be obsessed about doing the right thing. But doing the right thing isn’t always best for his, nor the FBI’s image. Sometimes you have to take a hit, knowing you’re doing the right thing. In this case, he did what he thought was the right thing for his and the FBI’s image above all else. It was wrong. Before Friday, Comey’s image was already under attack by some current and former FBI agents, conservatives on Capitol Hill and the Donald Trump camp — all of whom felt the FBI gave Hillary Clinton and company special treatment during the email probe, and that Clinton should have been indicted. Comey and his underlings in the bureau have been catching hell for that. The Washington Post reported Saturday that Justice officials reminded the FBI of the department’s position “that we don’t comment on an ongoing investigation. And we don’t take steps that will be viewed as influencing an election,” said one Justice Department official. I’m sure Comey thought he was doing the right thing, though I wonder if he wasn’t also hoping to make amends with all those who faulted him for not recommending charges against Clinton. Comey is no stranger to the politics of Washington and the sensitivity of elections. In March 2004, during the President George W. Bush administration, Comey was deputy Attorney General when he rushed to the intensive care unit where Attorney General John Ashcroft was hospitalized. Comey had learned that White House Counsel Alberto R. Gonzales and President Bush’s chief of staff, Andrew H. Card Jr., were on the way to visit Ashcroft and get him to reauthorize Bush’s domestic surveillance program, which the Justice Department had just determined was illegal. Comey went there and prevented that from happening. Back then, even though it was such an egregious attempt to violate the law, Comey knew better then to come out publicly that year and expose the Bush administration’s highly questionable intentions months before the November election in which Bush was seeking a second term. I don’t agree with some who suggest that Comey be fired or resign. He is a stand up guy and has been good for the FBI. But in this case, he screwed up. On the upside, Comey has turned Donald Trump around. Trump now thinks he’s A-Ok.
Not many Boy Scouts can say they’ve got Donald Trump in their corner. Posted: 10/30/16 at 5:30 PM under Uncategorized.